ABC has announced that season two of their American Crime limited series will take over for Nashville during the country music drama’s winter hiatus. American Crime will begin airing on Wednesday, January 6th at 10pm. There will be 10 episodes once again. The first season revolves around a racially-charged murder and the ensuing trial in Los Angeles. The second season of American Crime will look at socio-economic disparities and sexual orientation set in the Midwest at public and private high schools . In the story, lurid photos of a public high school boy are posted online following a school party. The boy charges that two players from a private high school’s basketball team drugged, assaulted, and took the pictures of him. Though the setting and storyline of season two will be very different, some of the actors from season one are returning. Felicity Huffman, Timothy Hutton, Lili Taylor, Elvis Nolasco, and Regina King (who won an Emmy for season one) are all returning in different roles. Trevor Jackson, Connor Jessup, Joey Pollari, and Angelique Rivera are new to the series. What do you think? Do you like the American Crime TV show? Do you plan to watch the second season? Excited for this to start…and so glad to see the same lead stars in this one! This is sure to be another hit! Season one was amazing- the whole cast- particularly Elvis Nolasco, blew my mind. guess the women were covered up like you like “riggarob”. had to be since you actually were able to look like it. 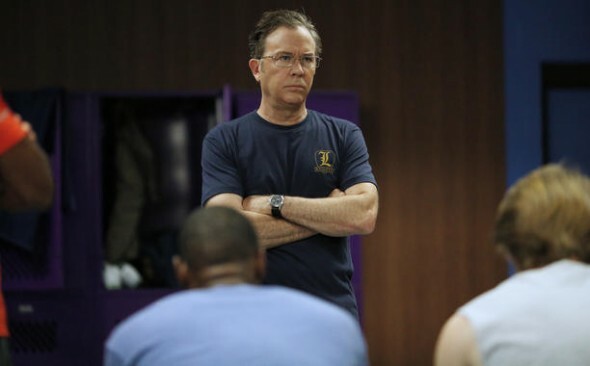 I watched most of the first season episodes, and while Timothy Hutton and the rest of the cast delivered the “goods” acting out their roles, for me, the pace was too slow. Those ten episodes could have been condensed to five or six. Season 1 was fantastic. It was well written and extremely well acted. I hope the same will ensue for season 2, especially since many of the main characters are back, albeit in different roles.